New Location in Richardson, New Classes … Happy New Year! 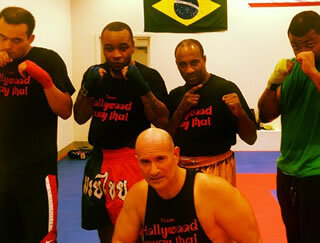 Jay’s Kickboxing celebrates the New Year with a bang. January 1 we’re moving to a new location in Richardson with more classes. Whether you aim to be a MMA champion or just want to get in shape, we’ve got a class for you! New Classes – We’ve added classes and now offer 16 classes of Muay Thai Fitness & Training – Monday through Friday at 5, 6, or 7 pm and Saturday noon. Our first class is Thursday. Come join us and check out the new studio! Build a better body with high intensity Muay Thai and kickboxing fitness and training classes. We wish all our Jay’s Kickboxing students and friends a happy and safe holiday. Thur Jan 2 we resume our normal schedule. If you’re off the next week or two, come by and try a class! Jay has a special guest from Korea coming to class. Please join us at 7pm at Willow Bend Mall to support Jay and the studio!